Ajabu is a very friendly and cuddly boy who loves to spend time with his family and stretch out and doze in the sun or on the sofa. He can, however, also be very much on the move. He loves e.g. 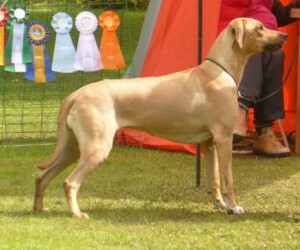 to work with his mum and is easily motivated with treats and play. 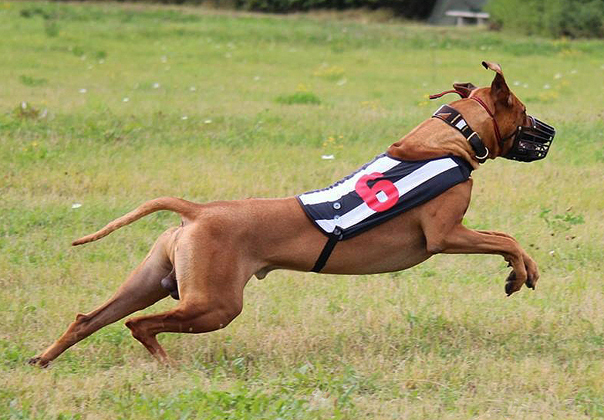 He enjoys Blood Tracking and Rally Obedience and he runs on the Lure Coursing track with great enthusiasm, speed and agility. 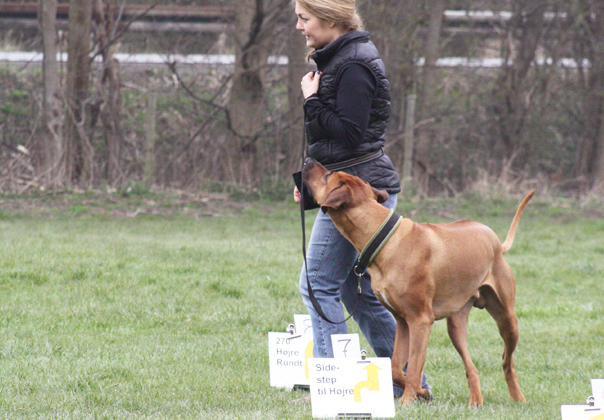 Attending dog shows he has done very well. 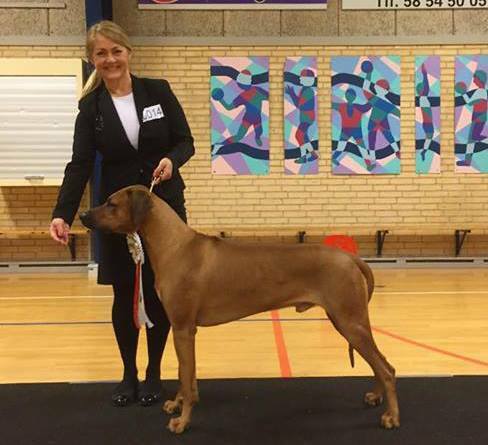 He became DANISH CHAMPION at the International CACIB show in Herning 2014. 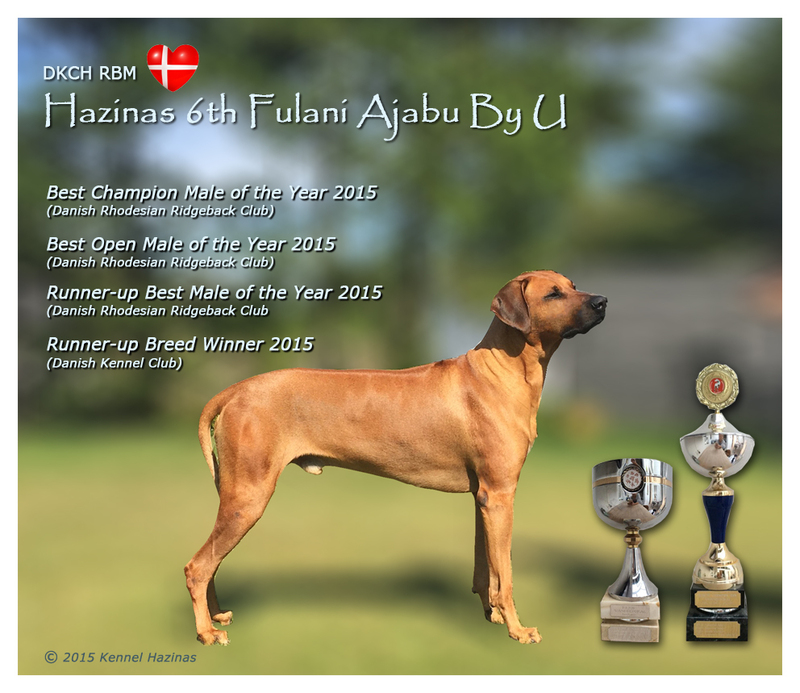 And very recently it has been annonced, that he is Runner Up Best Male in the Danish RR club's competition "Dogs of The Year 2014/2015" achieved by going Best Champion Male and Best Open Male of the year. Wherever he goes, he is admired by bypassers for his beautiful expression and calm nature. 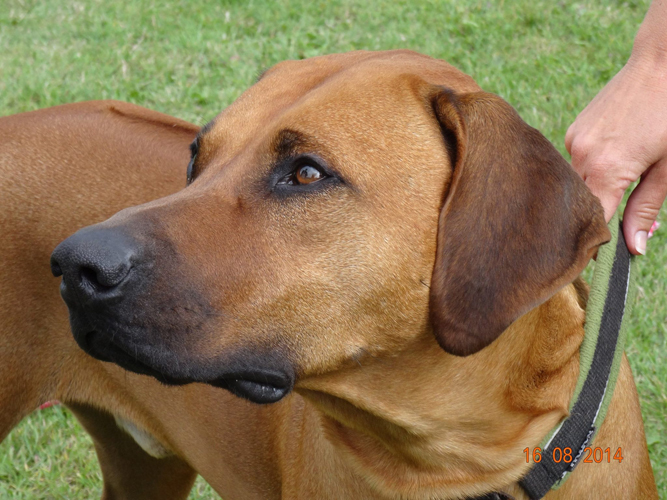 He enjoys being with other dogs, large or small and even puppies are invited to play. Describing Ajabu with a few words … he is gentle, playful and loving. We hope you will enjoy browsing on Ajabu's site. 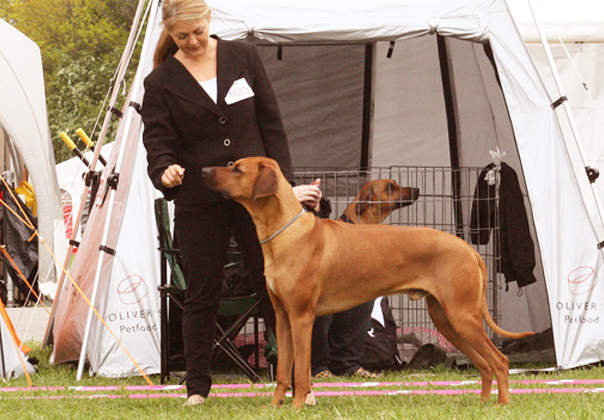 Ajabu goes Best Champion Male and 2nd BEST MALE at Vamdrup National. Judge: Rony Doedijns, NL. Ajabu goes BEST MALE and BOB at the Club Specialty in Slagelse and gets a new title: KLBCH (Danish Club Champion). 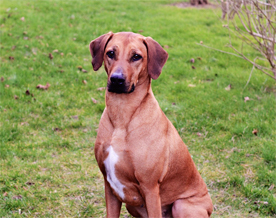 The first litter sired by Ajabu has been born by Zola at Kennel Thukela, DK. 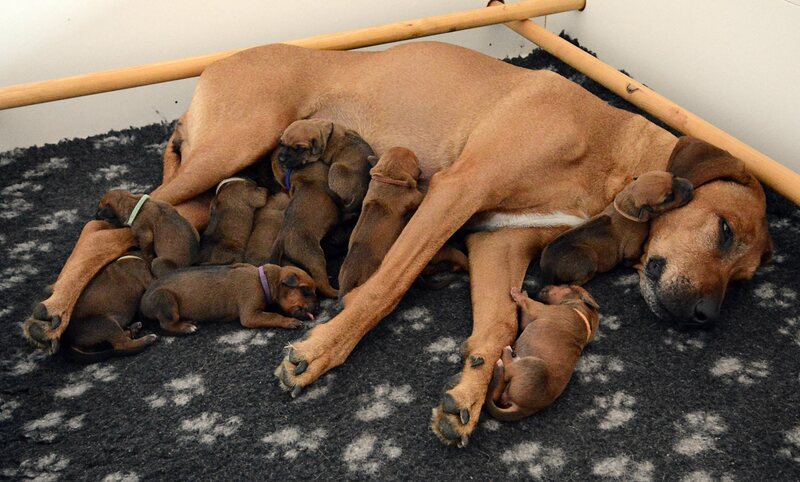 12 healthy puppies (5 males and 7 females). 12 perfekt ridges. No kink tails and no DS found. 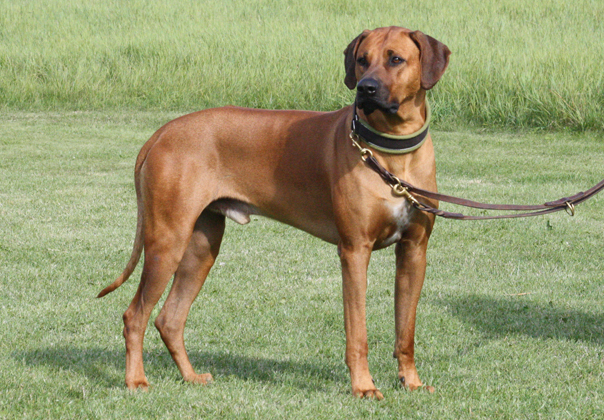 Ajabu has mated Ulon Hills Lea The First Alfa. Puppies expected week 20. 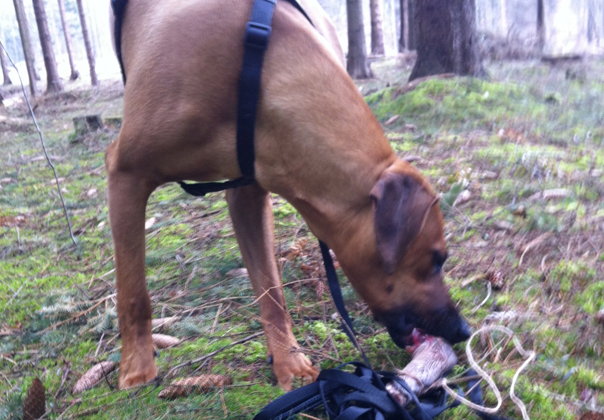 See more on Kennel Djungelkatten's web. 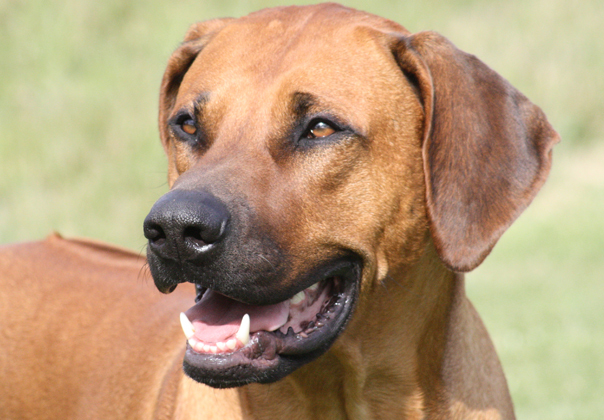 See more on Kennel Thukela's web. Copyright © Kennel Hazinas - all rights reserved. Designed for Microsoft Internet Explorer.